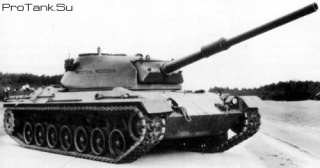 Prototipo desarrollado entre 1960 y 1961 como carro medio para el Bundeswehr, con un total de 26 prototipos fabricados. Se probaron los prototipos hasta 1963. El vehículo fue el predecesor del carro medio Leopard. 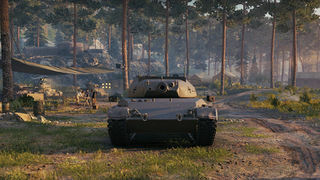 The downside is the low rate of fire and extremely poor armor on all its angles; artillery will be the bane of this tank as HE shells can penetrate the frontal armor with devastating effects, so remaining mobile or hidden taking out enemies from a distance are viable options. 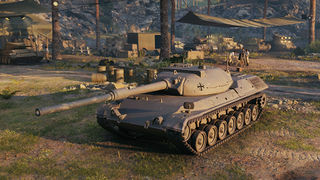 At tier, only the French Lorraine 40 t has lower armor. Peaking is absolutely not recommended, with your pathetic gun depression. With your large size for a scout, you will be fairly easy to hit with more-or-less accurate guns and your non-existant armor will make you even more prone to damage when standing still. 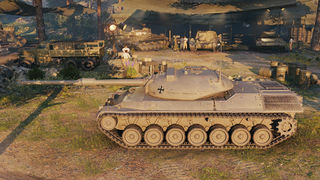 This is coupled because the Leopard is also a fairly attractive target due to its great gun. Losing hit points at this point in time will eventually be a waste of your great gun. Esta página fue modificada por última vez el 25 oct 2016, a las 13:01.